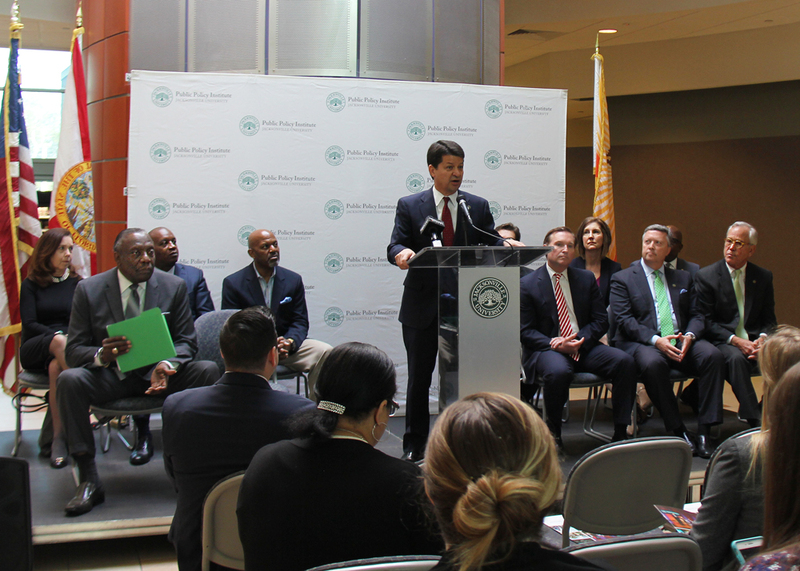 An historic initiative backed by the Mayor, Jacksonville University and key black community advocates will offer future African-American leaders a two-year JU Master in Public Policy scholarship, a city internship and job placement help that keeps their vision and talent in the community to address critical regional challenges. The unique concept will afford the most talented black graduate students a chance to earn the prestigious degree that provides broad exposure to national, regional and local public policy issues and prepares them to lead while creating diverse employment opportunities in the public, private and non-profit sectors. On hand were members of the new JU Public Policy Institute MPP Minority Fellowship Program Advisory Board, who have a passion to enhance opportunities for African-American graduates, and who with Public Policy Institute Director Rick Mullaney will seek and recommend Fellowship applicants and develop a mentorship plan. 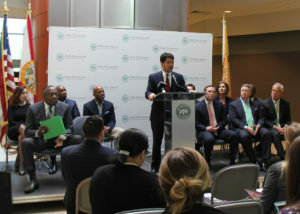 Among other high-profile leaders present from the board were Edward Waters College President and former Jacksonville Sheriff Nat Glover Jr., Jacksonville Director of Community Affairs Dr. Charles Moreland, Jacksonville Transportation Authority Chief Executive Nat Ford and former CSX Technology Inc. President and JU Trustee Charles Wodehouse. Glover stressed the importance of the large contingent of African-American leaders who are in or were formerly in public service locally, including a former mayor, sheriff, chairman of the JAX Chamber, a current head of the JTA and many others. The MPP Minority Fellowship Program is a result of the vision of Wodehouse, who has generously agreed to provide initial six-figure funding to support the program. 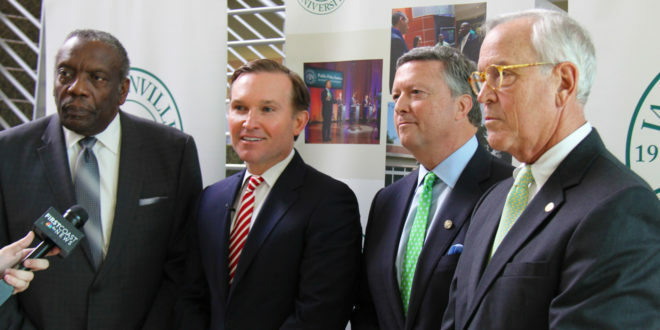 Jacksonville University and the MPP Fellowship Advisory Board are committed to soliciting additional funds to enhance and expand the program. Many of Jacksonville’s best young African-American men and women who are interested in political or other public service jobs may not ordinarily think of a JU PPI master’s degree as a pathway to prepare for their careers, Wodehouse said. The idea for the PPI fellowships is to “widen the net” to more non-traditional candidates, who will obtain the type of credentials vital to success in leadership. Each year, the newly selected honorees will receive a scholarship that covers tuition for two years of the Master in Public Policy program; an annual stipend; a City of Jacksonville internship after the first year of the degree program; an opportunity to meet and mentor with industry and policy leaders at the Institute, as well as invitations to Institute, Jacksonville University and area public policy events; and specialized job placement in Jacksonville after graduation. Those interested in more details or how to apply for the Jacksonville University Public Policy Institute Master in Public Policy Minority Fellowship Program should visit the PPI website or contact MPP Program Manager Amy Lane at alane4@ju.edu, (904) 256-7452.